WASHINGTON (AP) -- Fiat Chrysler is voluntarily recalling 862,520 vehicles in the U.S. because they don't meet the country's emission standards. The Environmental Protection Agency says that the recall is the result of in-use emissions investigations it performed and in-use testing conducted by Fiat Chrysler as required by EPA regulations. The vehicles involved in the recall include 2011-2016 Dodge Journey front wheel drive, 2011-2014 Chrysler 200 /Dodge Avenger front wheel drive, 2011-2012 Dodge Caliber front wheel drive continuously variable transmission and 2011-2016 Jeep Compass/Patriot front wheel drive continuously variable transmission. The EPA said Wednesday that it will continue to investigate other Fiat Chrysler vehicles that are potentially non-compliant and may become the subject of future recalls. The recall will be performed in phases during the year, with the oldest vehicles first. 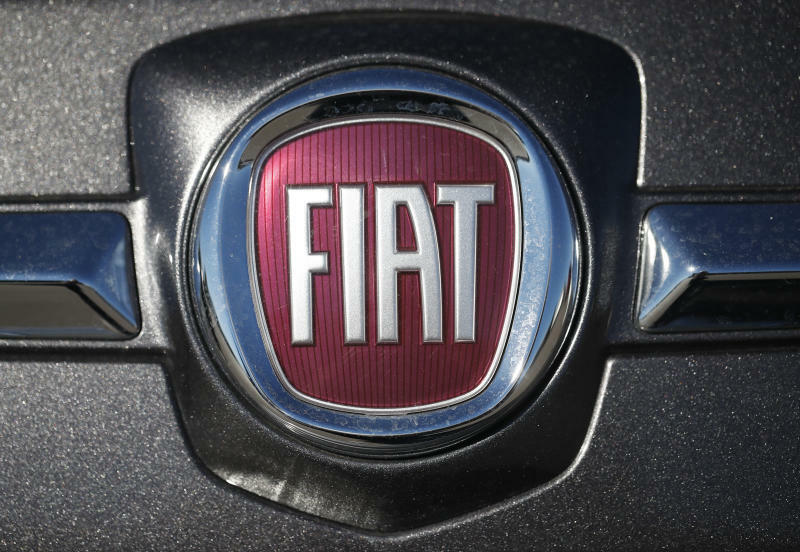 Owners of vehicles involved in the recall must wait until they receive notification from Fiat Chrysler before scheduling a dealership appointment. They can continue to drive their vehicles in the meantime.